Lost Child – Sayon’s Journey, a film exploring the Cambodian genocide and its lasting impact through the eyes of a former Khmer Rouge child soldier, will be shown at the Frederick P. Rose Auditorium, 41 Cooper Square, Third Avenue and 7th Street, at 7 p.m., Friday, February 7. Admission is free and open to the public. The screening will be followed by a discussion with Sayon Soeun, whose story is told in the film, director/co-producer Janet Gardner of the Gardner Documentary Group, and co-producer Sopheap Theam. Narrating in his own voice, Soeun confronts his childhood experiences during Cambodia’s darkest hour; revealing for the first time what he witnessed and struggled with as he came of age. 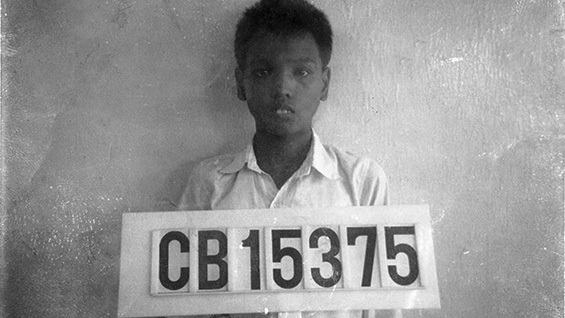 Abducted at the age of six, he was exploited by the Khmer Rouge; his family life and education stolen. His recovery and redemption from unimaginable evil evolved as he transitioned from an orphanage in a refugee camp to the home of a loving American family in Connecticut. The film follows Soeun on a healing journey to Cambodia, where he encounters family members who say they never forgot him, and forgives himself for his complicity as a Khmer Rouge child soldier. The film builds to a suspenseful conclusion as Soeun receives the results of DNA tests that will confirm or refute his relationship to the people he met in Cambodia, who are certain he is their brother. Now in his 40s, Soeun directs Light of Cambodian Children in Lowell, Mass., where he lives with his wife and child. Lost Child won a Cine Golden Eagle Award in the independent documentary feature category in 2013, and the Audience Choice award at the Philadelphia Asian American Film Festival in November. It also was selected for the New Jersey Film Festival and the Boston Asian American Film Festival. The film was co-produced by Gardner and Theam, Soeun’s sister-in-law and a native of Cambodia, whose family fled the country when she was an infant. In the film, she accompanies Soeun on his first trip back to the country. For further information about the film, visit lostchildthefilm.org.